Put all ingredients in a blender along with a few ice cubes. Blend just until smooth. Vary this recipe in accordance to availability and preferencesSo many possible combinations. Serves 2. Vary this recipe in accordance to availability and preferences! So many possible combinations. 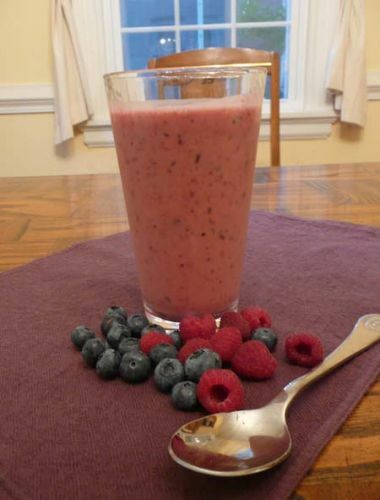 Use any combination of fruit or berries in this simple recipe.